AWD, ABS brakes, Electronic Stability Control, Front dual zone A/C, Heated door mirrors, Heated front seats, Heated/Ventilated Front Bucket Seats, Illuminated entry, Low tire pressure warning, Navigation System, Power Liftgate, Power moonroof, Remote keyless entry, Traction control. Awards: * 2016 KBB.com Best Buy Awards Finalist * 2016 KBB.com 16 Best Family Cars Right color, right price! Act fast on this one, we've had a bunch of calls on it already! Remainder of factory warranty, PA state inspected, through the shop and ready for your driveway! Call us now to check availability and to schedule your test drive! Come see why Preston was voted Dealer of the Year in PA and OH on DealerRater.com! 6-Way Driver & 4-Way Passenger Seat Adjuster, ABS brakes, Air Conditioning, Alloy wheels, Auto High-beam Headlights, Automatic temperature control, Brake assist, Cruise Control, Dual front impact airbags, Dual front side impact airbags, Electronic Stability Control, Exterior Parking Camera Rear, Illuminated entry, Low tire pressure warning, Model Two Package, Panic alarm, Power door mirrors, Radio: Entune Audio, Remote keyless entry, Spoiler, Steering wheel mounted A/C controls, Steering wheel mounted audio controls, Synthetic Leather Rear Console Box w/Armrest, Telescoping steering wheel, Tilt steering wheel, Tonneau Cover & Try Trim, Traction control, Turn signal indicator mirrors, Two-Tone Fabric Seat Trim. 48/43 City/Highway MPG Right color, right price! Act fast on this one, we've had a bunch of calls on it already! Remainder of factory warranty, PA state inspected, through the shop and ready for your driveway! Call us now to check availability and to schedule your test drive! Come see why Preston was voted Dealer of the Year in PA and OH on DealerRater.com! Priced below KBB Fair Purchase Price! AWD. Right color, right price! Act fast on this one, we've had a bunch of calls on it already! Remainder of factory warranty, PA state inspected, through the shop and ready for your driveway! Call us now to check availability and to schedule your test drive! Come see why Preston was voted Dealer of the Year in PA and OH on DealerRater.com! 16" x 7J+30 Style Steel Wheels, 7 Speakers, ABS brakes, Air Conditioning, AM/FM radio: SiriusXM, AM/FM/CD w/7 Speakers, Convenience Package, Cruise Control, Electronic Stability Control, Fabric Seat Trim, Illuminated entry, Power door mirrors, Privacy Glass, Remote Keyless Entry System, Sliding Rear Window, Steering Wheel Audio Controls, Telescoping steering wheel, Tilt steering wheel. Awards: * ALG Best Residual Value * 2012 KBB.com Best Resale Value Awards Right color, right price! Act fast on this one, we've had a bunch of calls on it already! Remainder of factory warranty, PA state inspected, through the shop and ready for your driveway! Call us now to check availability and to schedule your test drive! Come see why Preston was voted Dealer of the Year in PA and OH on DealerRater.com! Priced below KBB Fair Purchase Price! Awards: * 2017 KBB.com 10 Most Awarded Brands Right color, right price! Act fast on this one, we've had a bunch of calls on it already! Remainder of factory warranty, PA state inspected, through the shop and ready for your driveway! Call us now to check availability and to schedule your test drive! Come see why Preston was voted Dealer of the Year in PA and OH on DealerRater.com! Priced below KBB Fair Purchase Price! Odometer is 3994 miles below market average! 31/40 City/Highway MPG Right color, right price! Act fast on this one, we've had a bunch of calls on it already! Remainder of factory warranty, PA state inspected, through the shop and ready for your driveway! Call us now to check availability and to schedule your test drive! Come see why Preston was voted Dealer of the Year in PA and OH on DealerRater.com! Priced below KBB Fair Purchase Price! 24/31 City/Highway MPG Awards: * 2015 KBB.com 10 Best All-Wheel-Drive Vehicles Under $25,000 * 2015 KBB.com Our 10 Favorite New-for-2015 Cars * 2015 KBB.com 10 Best SUVs Under $25,000 * 2015 KBB.com 10 Tech-Savviest Cars Under $20,000 * 2015 KBB.com 10 Most Fun SUVs Right color, right price! Act fast on this one, we've had a bunch of calls on it already! Remainder of factory warranty, PA state inspected, through the shop and ready for your driveway! Call us now to check availability and to schedule your test drive! Come see why Preston was voted Dealer of the Year in PA and OH on DealerRater.com! ABS brakes, Active Cruise Control, Electronic Stability Control, Heated door mirrors, Illuminated entry, Low tire pressure warning, Remote keyless entry, Traction control. Odometer is 22618 miles below market average! 28/36 City/Highway MPG Right color, right price! Act fast on this one, we've had a bunch of calls on it already! Remainder of factory warranty, PA state inspected, through the shop and ready for your driveway! Call us now to check availability and to schedule your test drive! Come see why Preston was voted Dealer of the Year in PA and OH on DealerRater.com! Priced below KBB Fair Purchase Price! Odometer is 8040 miles below market average! Right color, right price! Act fast on this one, we've had a bunch of calls on it already! Remainder of factory warranty, PA state inspected, through the shop and ready for your driveway! Call us now to check availability and to schedule your test drive! Come see why Preston was voted Dealer of the Year in PA and OH on DealerRater.com! 16" x 7J+30 Style Steel Disc Wheels, ABS brakes, Air Conditioning, Cruise Control, Daytime Running Lamps, Dual front impact airbags, Dual front side impact airbags, Electronic Stability Control, Exterior Parking Camera Rear, Fabric Seat Trim (FC), Illuminated entry, Low tire pressure warning, Radio: Entune Plus AM/FM/CD w/Connected Navigation, Remote keyless entry, Remote Keyless Entry System, SR5 Package, Telescoping steering wheel, Tilt steering wheel, Towing Package, Traction control, Variable Intermittent Wipers. Odometer is 7286 miles below market average! Awards: * 2016 KBB.com Best Buy Awards Finalist * 2016 KBB.com Best Resale Value Awards Right color, right price! Act fast on this one, we've had a bunch of calls on it already! Remainder of factory warranty, PA state inspected, through the shop and ready for your driveway! Call us now to check availability and to schedule your test drive! Come see why Preston was voted Dealer of the Year in PA and OH on DealerRater.com! 4WD, ABS brakes, Air Conditioning, Alloy wheels, Compass, Electronic Stability Control, Exterior Parking Camera Rear, Front fog lights, Illuminated entry, LED Daytime Running Lamps, Low tire pressure warning, Navigation System, Outside temperature display, Radio: Entune Premium w/AM/FM/CD/Nav/App Suite, Remote keyless entry, Towing Package, Traction control. Awards: * 2016 KBB.com Best Resale Value Awards * 2016 KBB.com Best Buy Awards Finalist Right color, right price! Act fast on this one, we've had a bunch of calls on it already! Remainder of factory warranty, PA state inspected, through the shop and ready for your driveway! Call us now to check availability and to schedule your test drive! Come see why Preston was voted Dealer of the Year in PA and OH on DealerRater.com! AWD, Nutmeg w/Fabric Seat Trim, Air Conditioning, Alloy wheels, Automatic temperature control, Brake assist, Dual front impact airbags, Dual front side impact airbags, Electronic Stability Control, Exterior Parking Camera Rear, Front dual zone A/C, Front fog lights, Heated door mirrors, Illuminated entry, Leather steering wheel, Outside temperature display, Panic alarm, Power door mirrors, Power Liftgate, Power moonroof, Power steering, Radio: Entune Audio Plus AM/FM/MP3/WMA Playback, Remote keyless entry, Steering wheel mounted audio controls, Telescoping steering wheel, Tilt steering wheel, Turn signal indicator mirrors. Odometer is 15133 miles below market average! 22/29 City/Highway MPG Awards: * 2016 IIHS Top Safety Pick+ * 2016 KBB.com 10 Best SUVs Under $25,000 Right color, right price! Act fast on this one, we've had a bunch of calls on it already! Remainder of factory warranty, PA state inspected, through the shop and ready for your driveway! Call us now to check availability and to schedule your test drive! Come see why Preston was voted Dealer of the Year in PA and OH on DealerRater.com! Ash w/Fabric Seat Trim, 8-Way Power Adjustable Driver Seat, ABS brakes, Electronic Stability Control, Illuminated entry, Low tire pressure warning, Remote keyless entry, Traction control. 25/35 City/Highway MPG Awards: * 2012 KBB.com 10 Best Sedans Under $25,000 * 2012 KBB.com 10 Most Comfortable Cars Under $30,000 * 2012 KBB.com Best Resale Value Awards Right color, right price! Act fast on this one, we've had a bunch of calls on it already! Remainder of factory warranty, PA state inspected, through the shop and ready for your driveway! Call us now to check availability and to schedule your test drive! Come see why Preston was voted Dealer of the Year in PA and OH on DealerRater.com! 18" x 7" 10-Spoke Machine Finish Alloy Wheels, ABS brakes, Active Cruise Control, Bumpers: body-color, Compass, Electronic Stability Control, Front dual zone A/C, Heated door mirrors, Illuminated entry, Low tire pressure warning, Navigation System, Power door mirrors, Remote keyless entry, Roof rack: rails only, Spoiler, Traction control. Right color, right price! Act fast on this one, we've had a bunch of calls on it already! Remainder of factory warranty, PA state inspected, through the shop and ready for your driveway! Call us now to check availability and to schedule your test drive! Come see why Preston was voted Dealer of the Year in PA and OH on DealerRater.com! AWD, 17" Alloy Wheels, ABS brakes, Air Conditioning, AM/FM/CD Audio System w/6 Speakers, Brake assist, Delay-off headlights, Dual front impact airbags, Dual front side impact airbags, Electronic Stability Control, Exterior Parking Camera Rear, Front Bucket Seats, Front Center Armrest, Front fog lights, Front reading lights, Heated Front Bucket Seats, Heated front seats, Illuminated entry, Outside temperature display, Panic alarm, Power driver seat, Power moonroof, Remote keyless entry, Security system, Steering wheel mounted audio controls, Tachometer, Telescoping steering wheel, Tilt steering wheel. Odometer is 877 miles below market average! 25/31 City/Highway MPG Awards: * ALG Residual Value Awards * 2016 IIHS Top Safety Pick+ (With Touring Model) * 2016 KBB.com Brand Image Awards 2016 Kelley Blue Book Brand Image Awards are based on the Brand Watch(tm) study from Kelley Blue Book Market Intelligence. Award calculated among non-luxury shoppers. For more information, visit www.kbb.com. Kelley Blue Book is a registered trademark of Kelley Blue Book Co., Inc. Right color, right price! Act fast on this one, we've had a bunch of calls on it already! Remainder of factory warranty, PA state inspected, through the shop and ready for your driveway! Call us now to check availability and to schedule your test drive! 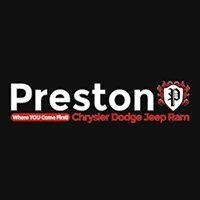 Come see why Preston was voted Dealer of the Year in PA and OH on DealerRater.com!